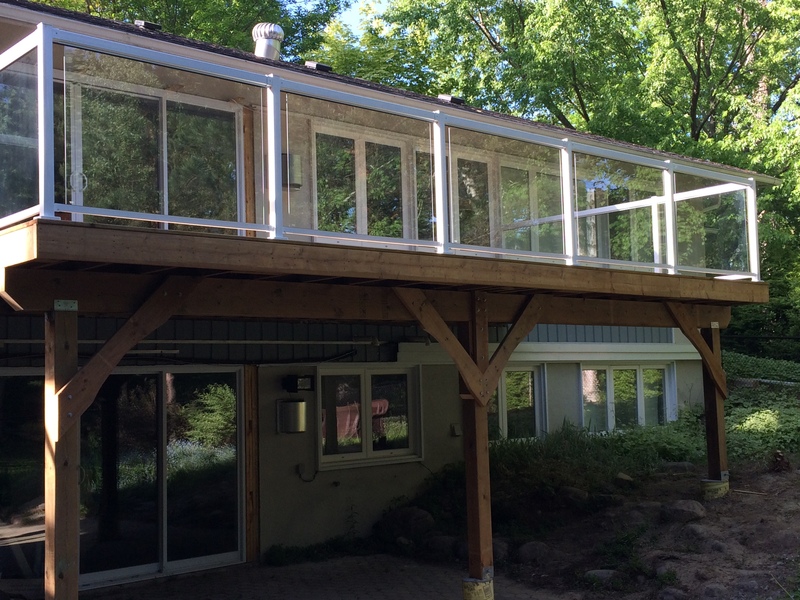 A backyard deck was desired from these homeowners in Sutton after having an interior renovation done – which included installation of a series of patio doors. This +/- 380 square foot elevated deck utilizes a Regal Glass Railing system to keep the view from not only the deck but interior living space as well. The deck construction uses cantilevered joists and beams with concrete sonotubes and belled out pier footings.